A luxuriant and light lotion carefully crafted with natural emulsifiers and organic oils to moisturize tender and sensitive skin on babies and adults. 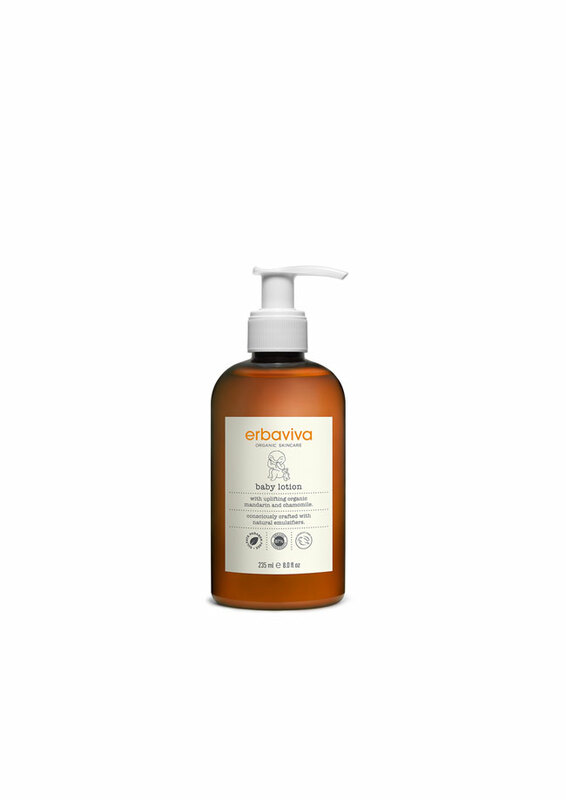 Soothingly scented with Erbaviva’s custom blend of organic mandarin and chamomile essential oils, Baby Lotion is a genuine treat for the senses after bath or anytime. Additional skin-enriching all natural premium ingredients include aloe, shea and cocoa butters. *Aloe barbadensis leaf juice, *helianthus annuus (sunflower) seed oil, glyceryl stearate, *simmondsia chinensis (jojoba) seed oil, glycerin, stearyl alcohol, cetyl alcohol, butyrospermum parkii (shea butter), glyceryl stearate citrate, *cera alba (beeswax), algin, potassium sorbate, sodium benzoate, xanthan gum, *rosmarinus officinalis (rosemary) leaf extract, tocopherol, *theobroma cacao (cocoa) seed butter, *citrus nobilis (mandarin orange) peel oil, *anthemis nobilis (chamomile) flower oil, **limonene *denotes certified organic ingredient. 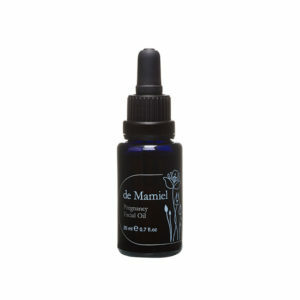 **denotes component of certified organic ingredient.